Local quilters made a variety of quilts for Habitat of Humanity's campaign "Home is the Key." Alpena- Habitat for Humanity of Northeast Michigan is throwing a quilt raffle in honor of Shelter Awareness month. 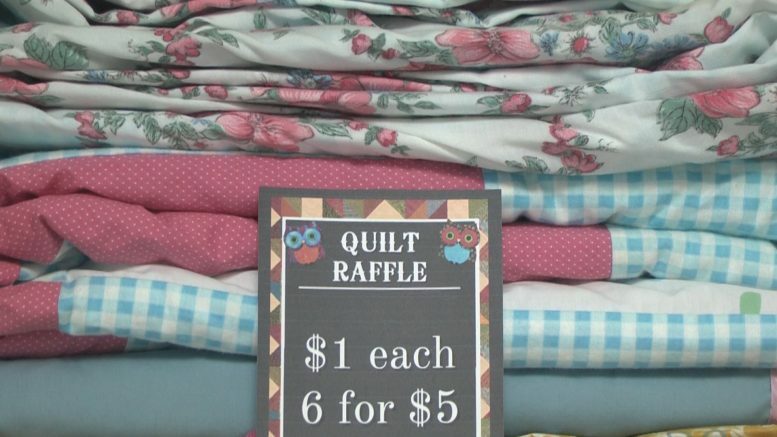 Each Friday, the group will draw a winner of a quilt made by local quilters. The proceeds from this raffle will help build new homes for those in need and continue to help the organization live out their mission. The idea came from Habitat ReStore Manager Nichole Keyes. Tickets are available at the ReStore during their daily hours and at the Alpena Alcona Area Credit Union off of Bagley St. every Friday in the month April.